Clarification: On 19 May we published an article headed 'Gus O'Donnell confirms investigation into smears by aide of Eric Pickles'. We would like to make it clear that there is no suggestion the source responsible for the smears of Jenny Watson to The Times in September 2010 was one of the special advisers to Eric Pickles. An amended version of the article is below. The head of the civil service conducted a full investigation after a source in Eric Pickles' Department for Communities and Local Government smeared a public official, it has been confirmed. In a letter sent to Labour’s Caroline Flint this week, Cabinet Secretary Gus O’Donnell confirms that an investigation took place but refuses to say whether any individuals were disciplined. The news comes after The Times quoted a ‘source in the Communities department’ in September 2010 launching an extraordinary attack on a senior public official, Jenny Watson. The controversial quotes first appeared in The Times on 8 September 2010. The newspaper had reported that Pickles was embarking on ‘a bonfire of the quangocrats’ with Watson, at the time an Audit Commission board member, top of the hit list. 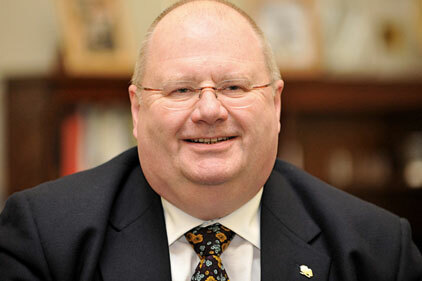 The contempt of Pickles for many quango executives was reflected in a sweeping statement about Watson, attributed to ‘a source in the Communities department’.